Today I'm a contributing writer over at Homegrown & Healthy! 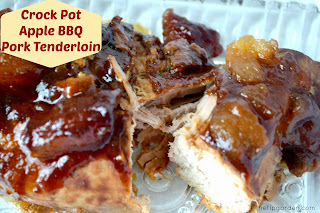 My recipe for Crock Pot Apple BBQ is up today! This recipe combines the sweetness of apples (without the peeling/chopping) with the tangy bbq, to make a wonderful melt in your mouth experience. Super fast and easy to throw together in the morning too!